The Ultimate Driving Machine is not a marketing gimmick or a copywriter’s penned in adjective to look and sound good on flashy brochures and billboard advertisements. 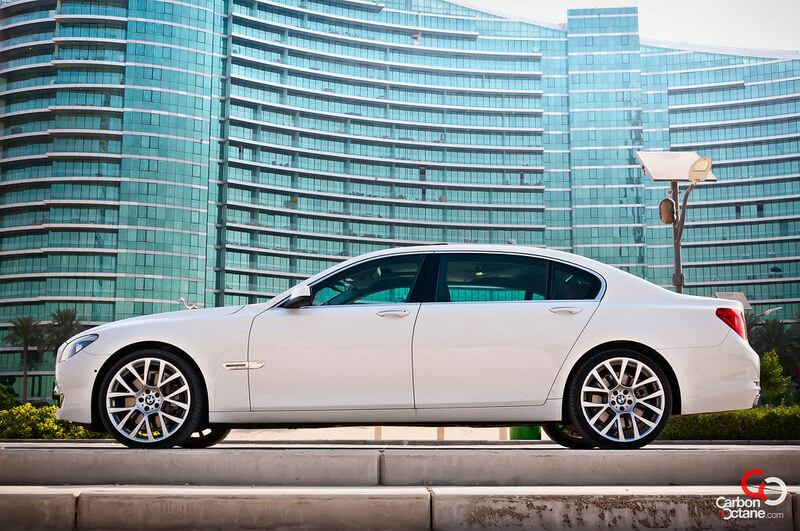 It is a philosophy on which BMW differentiates itself from the rest of the creed. The 7 Series is BMW’s über statement, but can incorporating finesse and luxury dilute its philosophy? 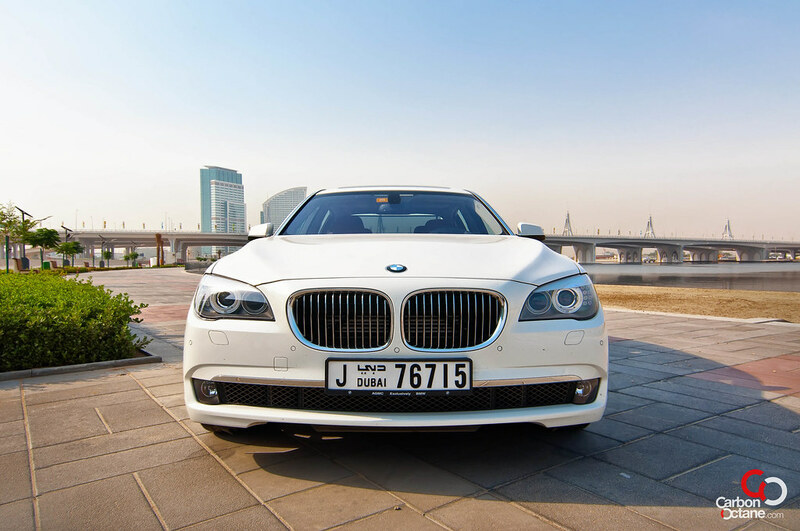 To test the theory out, we were graciously presented with the 2012 BMW 750Li from AGMC, Dubai and Northern Emirates exclusive BMW dealer, for the weekend. 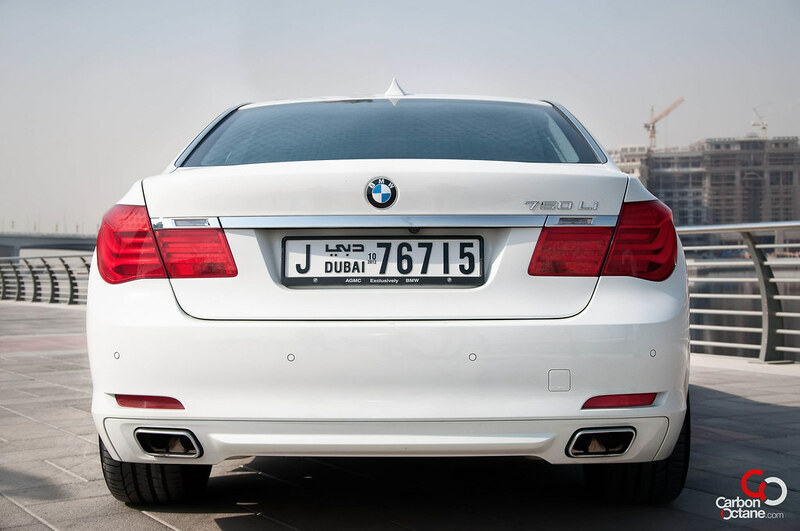 As one would expect the 7 series is a big saloon and on top of it, our “Li” model came with an extended wheelbase as standard. 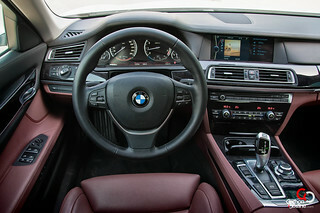 The interior of the 7 series can be likened to a contemporary architecture; they have avoided scattering the multitude of buttons which showcases the cars endless features. 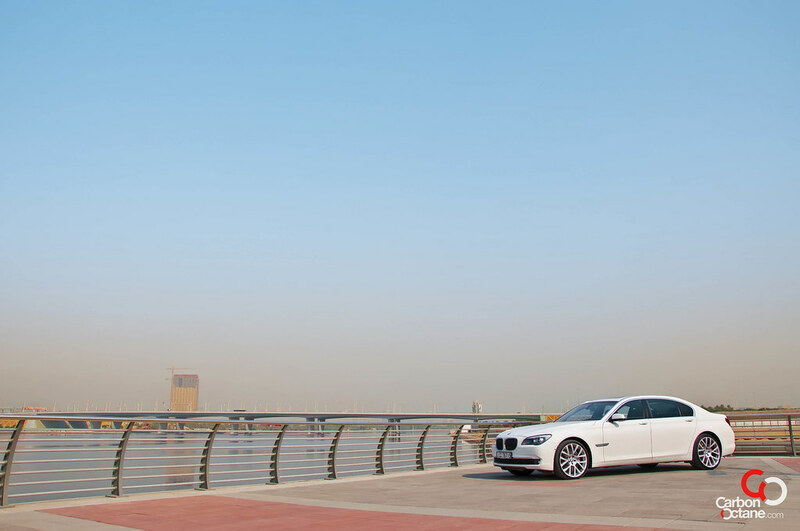 Everything can be operated from its refined iDrive system. They have also understood the need for physical buttons to have immediate access to the air conditioning and entertainment system rather than pressing a myriad of buttons to activate them. But more than that, it’s the feeling of intimacy with the car that becomes clearly evident as one soaks in the first few seconds of the interior. 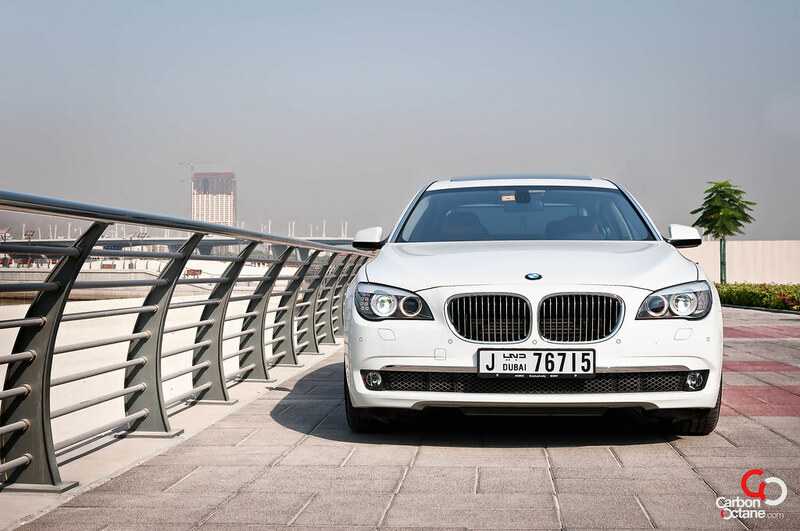 BMW has implemented many features in the 7 series and most of these details would be felt more than noticed. Look carefully into the vents of the AC ducts and you can see two jet like propulsion outlets. These blow air out much like those shower heads which are adjustable and can direct water as a jet or in a diffused manner. Have we seen this before? I believe not!! 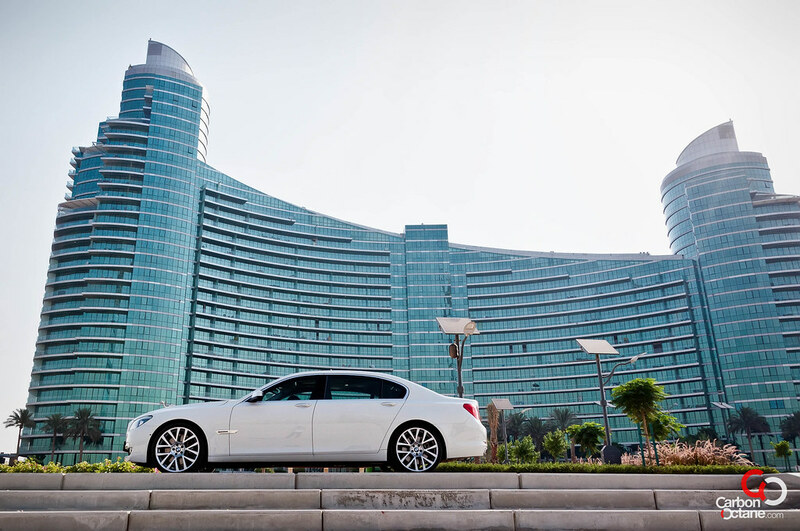 Our 750 tipped the scale at 2055kg but the weight felt minuscule as it was hauled by BMW’s gnarly 4.4Litre twin turbo V8 producing 407HP @ 5500-6400rpm and 600Nm of twist from 1750-4500rpm. 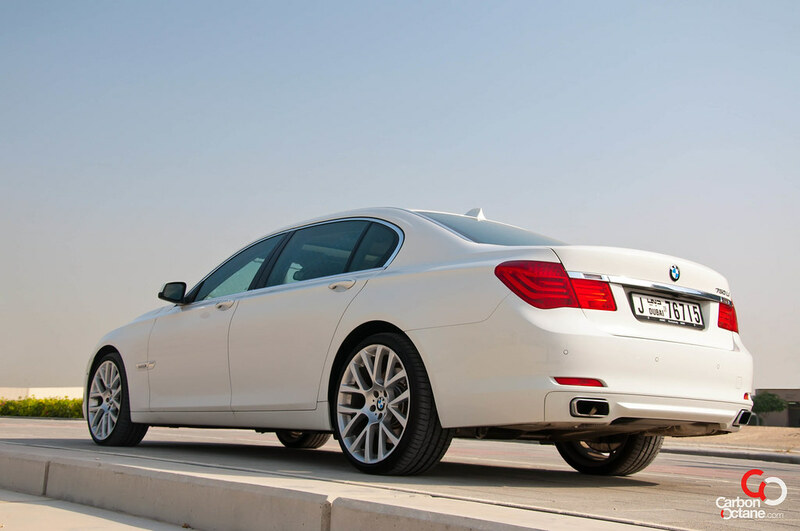 Until recently, BMW was known for their naturally aspirated engines which produced a linear power delivery throughout its rev range. Despite its forced injection the feel of its power delivery remains the same as before. It’s a constant turbine like push at any gear which makes driving and overtaking so much more comfortable – much like that of its rivals, the Mercedes S500, Audi A8 and the Jaguar XJ. In many ways the four musketeers are similar, they wrap their occupants in leather, have more speakers than our living rooms, and more creature comforts than one could ask for including massage seats for those long drives. I am guessing such massage seats are not even available at most owners’ homes. This brings us back to my statement in the first paragraph. Is this a driver’s car or a passengers’ car? Four driving modes are offered : comfort, normal, sport and sport +. For everyday driving the first two maps are the ones to use, whereas in the comfort mode the gearing tends to jump to the highest gear as fast as possible keeping the rpm low in the process. The normal mode would however downshift as a preference when power is needed. It’s the sport and the sport+ mode which makes one come alive even when while wearing a three piece suit heading to a ball room party on the 7’er. 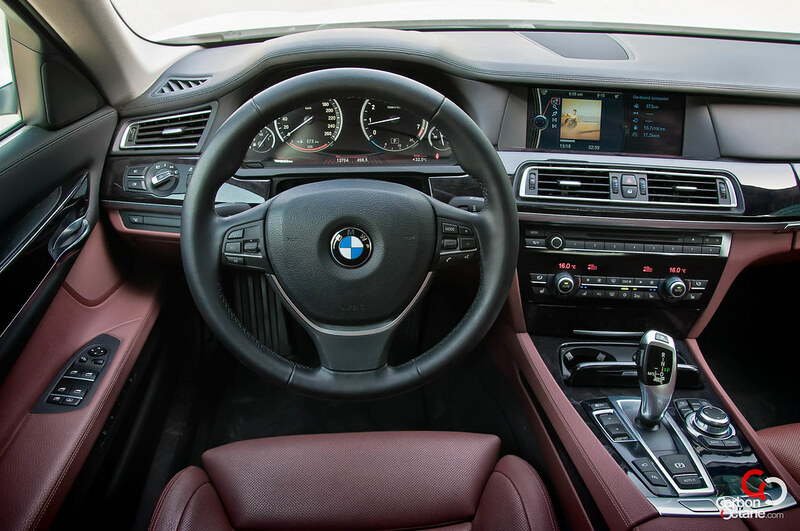 Much like how the words starts falling in place once we place our fingers on the keyboard, BMW offers similar experience from its steering wheel but in this case it is the driving sensation we are talking about. The pulse of the engine can be felt from the accelerator pedal and the steering transmits the grip. One is truly connected to the road. The 750 becomes an extension of our body and soul. 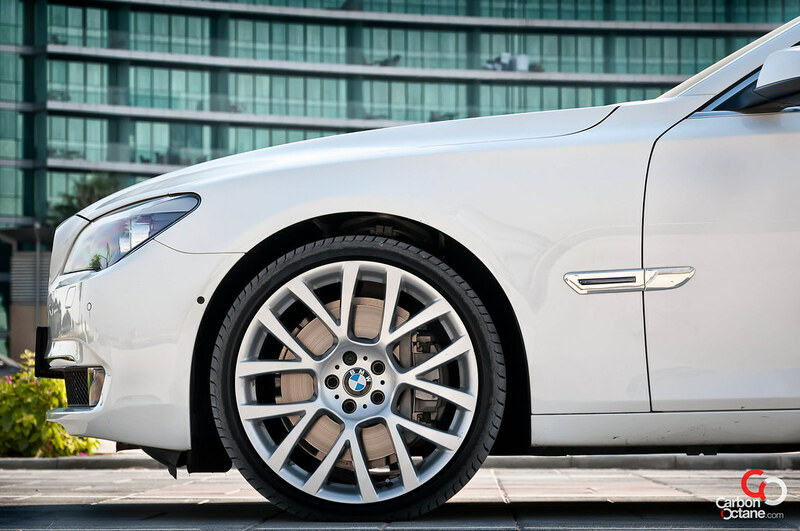 Tossing it in to a turn, the 7 series hides its weight very well, the body roll is controlled by its dynamic drive system which plants the wheels to the ground. The computers are all working on the background churning in figures faster than an accountant, and feeding it to its stability systems, making sure that grip is not lost. 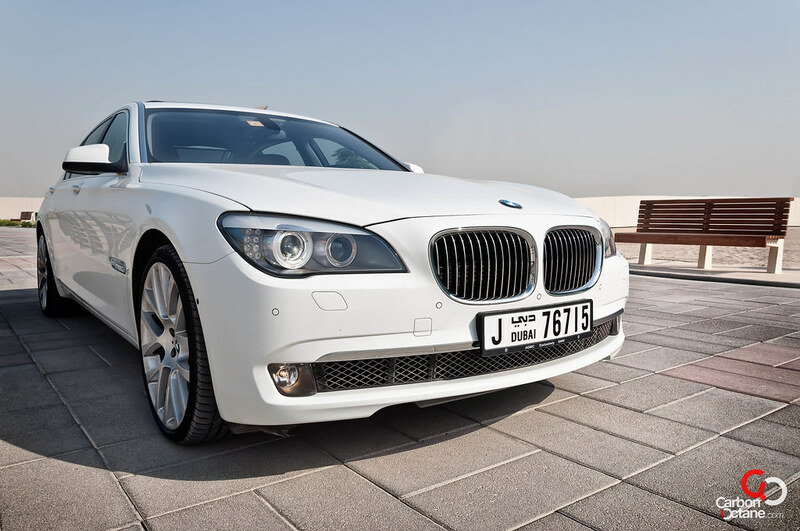 The 7 series has many features that dial into its Ultimate Driving Experience. It works seamlessly in the background and only when we drive other brands do we feel that there is something missing. 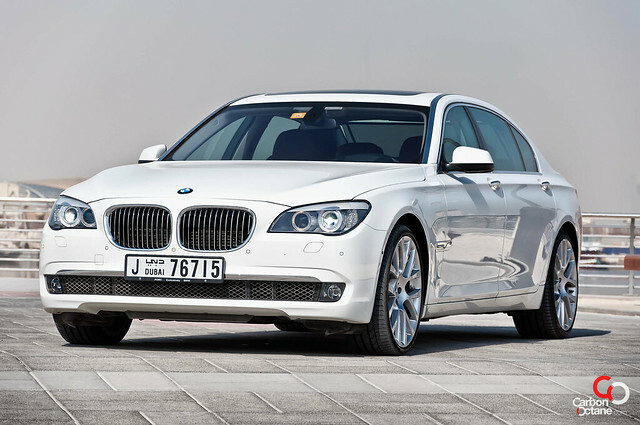 One such example is BMW’s Integral Active Steering on the 7 series. At speeds below 60kmph the rear wheel will turn in the opposite direction up to 3% of the front wheel requiring less steering turn. One whole turn is all that it requires getting around a u turn, that’s 50% less than other vehicles. 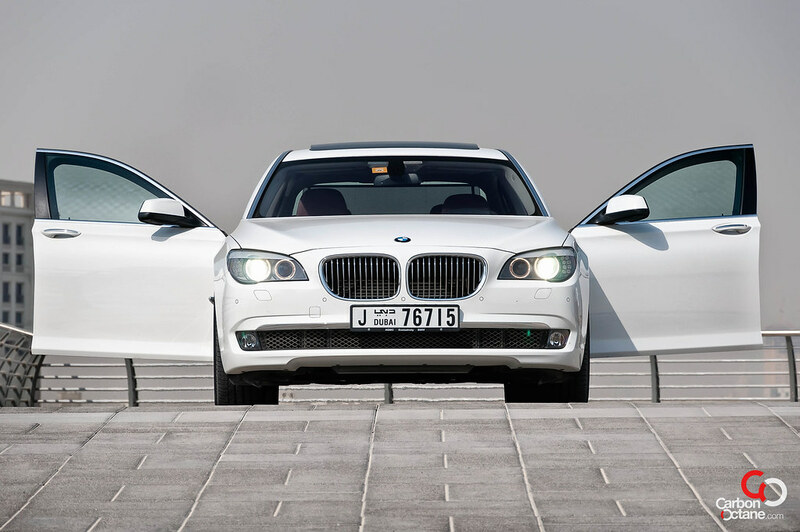 Yes, the 7 series has soul; it is almost organic in that respect. But this is done keeping its occupants in mind. The rear seat is reminiscent of a first class seating arrangement in a plane. 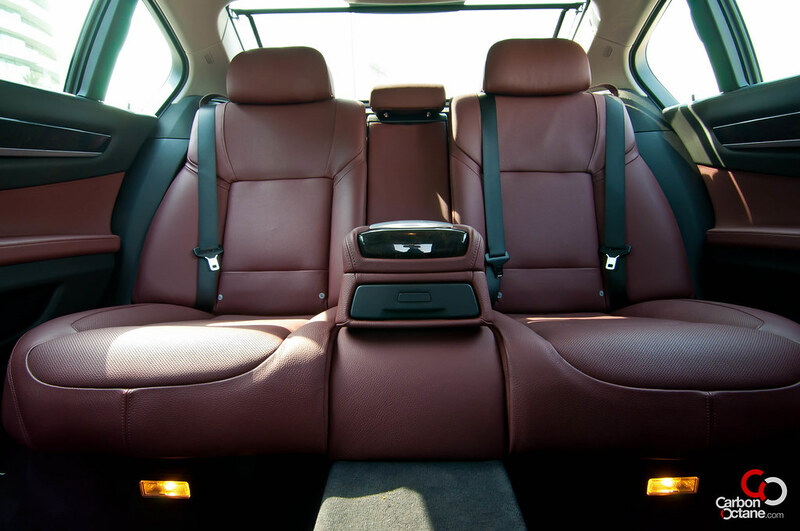 There is space for the occupants and even the seats at the back are adjustable for recline. Let’s just say that there are two zones in the car, one for the passenger and one for the driver. Where the drivers feels connected and engaged the passengers are as tranquil as in a spa. It’s a matter of taste at the end - there are drivers and there are motor-heads. This caters to both equally. 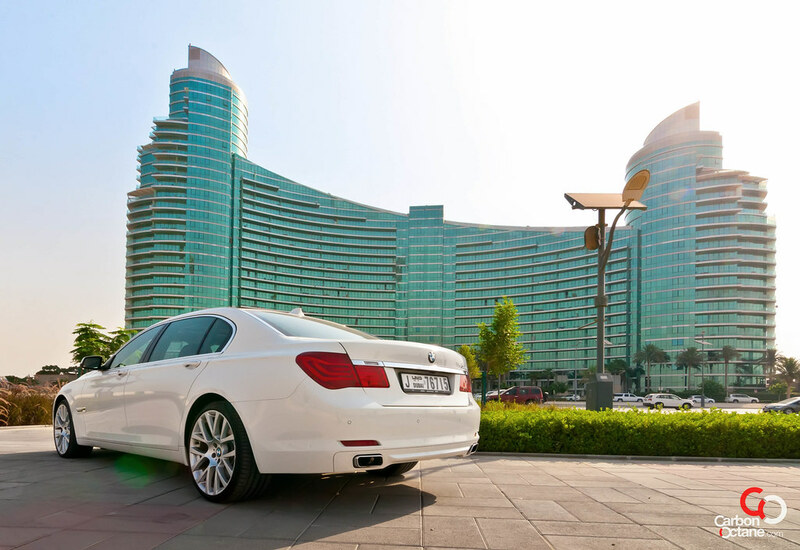 Here is a big saloon that makes the little boy in us come out and play and why not; we do love to feel young sometimes and what better way than on the drivers seat of the BMW. The boys in Munich have truly engineered the modern day fountain of youth.